Like a fresh wind setting in motion the blades of a giant turbine, a new idea for encouraging the development of clean energy has blown into the U.S. Congress. It is to allow renewable-energy companies to form master limited partnerships, a business structure that has long worked to attract investment capital to the oil and gas industry. Legislation in the Senate has support from Republicans and Democrats alike, not to mention the White House. We think it’s a neat idea, too. A master limited partnership offers the tax advantages of a partnership (the partners pay the taxes, not the corporation) even as its shares are publicly traded like ordinary corporate stock. The limited partners receive quarterly dividends, and these are typically higher than those paid to corporate shareholders because the business itself pays no taxes. This means the company can raise money from small investors at relatively low cost. Master limited partnerships would open a huge new pool of affordable capital for renewable energy, an industry that needs a lot of upfront investment and takes years to bring a big return. As things stand, clean-energy businesses have trouble attracting affordable financing. A large wind-energy company can turn to the “tax-equity” market to leverage its federal production tax credits. However, this market consists of just a handful of enormous companies (think of Google Inc., Chevron Corp., Honda Motor Co.) whose giant tax bills make it possible for them to take advantage of the wind company’s tax credits. 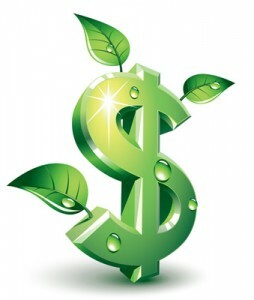 Such investors get returns averaging 8 percent to 9 percent, according to data compiled by Bloomberg New Energy Finance. By tapping into cheaper money from individual investors, renewable-energy companies could raise $3 billion to $6 billion in financing by 2021, according to an analysis by Southern Methodist University. And the companies would pay less for the financing; average dividends paid by master limited partnerships amount to about 6 percent. MLPs have, since 1981, helped the oil and gas industry raise capital for refineries, pipelines and drilling operations. This market now includes about 120 master limited partnerships, and has a total capitalization of more than $440 billion, according to the National Association of Publicly Traded Partnerships. Renewable energy has been left out so far because federal tax law specifies that master limited partnerships must derive their revenue from depletable natural resources. (The law was written in the days before renewable-energy enterprises sought such large amounts of capital.) Expanding the MLP Parity Act to bring renewables into the game is only fair, and could bring new financing to nuclear power, energy storage, carbon capture and other initiatives that less obviously are considered renewable energy. The U.S. government has in the past subsidized clean energy directly. In 2011, some $48 billion went to various projects. This was stimulus spending, though, and stimulus money is drying up -- even as the global market for clean energy keeps expanding. Although the government spending was useful, we much prefer a mechanism that makes private investment possible and appealing. According to a Bloomberg New Energy Finance report, by 2030 renewables will generate 50 percent of power globally. And between now and then, clean energy will attract $8.2 trillion in financing. To remain competitive in this growing market, the U.S. clean-energy industry needs the investment that MLPs would allow.